In a competitive market like the crossover SUV segment, the pressure is on for automakers to develop a ride that’s practical, sporty and efficient. 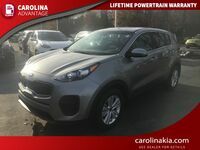 Two of the top contenders in this battle are models put forth by Kia and Honda. 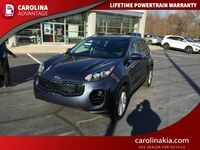 The 2017 Kia Sportage and the 2017 Honda CR-V both offer comparative carto space, performance features and technology, but one of the two clearly offers more for its driver. 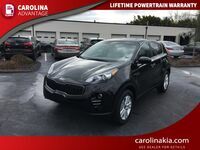 Drivers interested in crossover vehicles are most likely looking for capability and maneuverability. 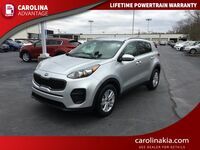 The crossover segment with models like the Sportage and the CR-V feel like you’re driving a car, with the capability and interior space of an SUV. Both of these models offer impressive space and manveuverability so for the purposes of this comparison, we’re looking at the model’s differing performance specs. 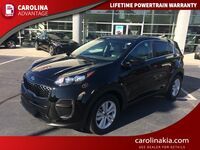 Take a look at how the 2017 Kia Sportage fares versus the 2017 Honda CR-V in the chart below. 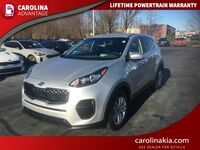 If you’re interested in getting behind the wheel of the 2017 Kia Sportage near Greensboro, NC, you’ve come to the right place. 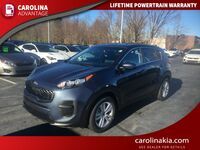 We have a selection of models available here at Carolina Kia of High Point. 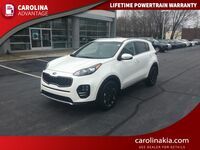 Just take a minute to browse our inventory and we’re sure you’ll have no trouble finding a model that suits you. Once you’re ready to hit the road, just give us a call or contact us online. Our friendly staff will be more than happy to schedule an appointment for you to stop by for a test drive whenever it’s convenient for you. 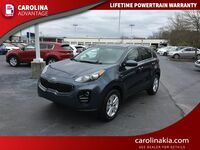 That way, you can experience the impressive performance of the Sportage for yourself before making a final decision.